Ans: Managed services let you offload specific IT operations to a service provider, known in tech parlance as a Managed Services Provider. The managed service provider assumes ongoing responsibility for monitoring, managing and/or problem resolution for selected IT systems and functions on your behalf. Q: What is TotalCare 360 ™ Service Plan ? Ans: We designed our unique plans to either supplement your existing IT staff or provide a complete turnkey outsourced IT service solution. We make it easier than ever to budget for, manage and understand your IT support services. Select one of our standard support plans for your business, or we'll work with you to build a custom plan that provides just the services you need. Every plan features a unique combination of high-level on-site support, remote help desk and one or more of our essential managed services for the ultimate in flexibility and protection. Q: Is this service subject to a 12 month minimum contract? Q: Can I get Incidence Based Support? Ans: Yes, we can offer incidence based support at our hourly prices, our engineers can be available to provide assistance when needed. Minimum 4 hours billing charges apply unless you buy support hours in advance. You can buy 10, 20, 50 or 100 hours blocks in advance. Also, not that our priority support is only available to the clients under support plans. Q: Do I get a dedicated Account Manager? Q: Can I add or remove services anytime during my contract? 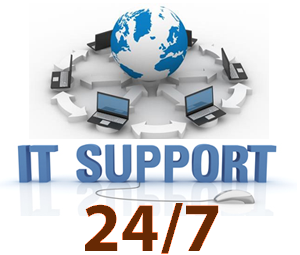 Q: Is On-site support included within the IT Support Manager packages? Q: Can I upgrade my service package to a higher level? Q: Can I have different items of equipment/software on different SLA’s? Q: I already have an existing contract and want to add other items of hardware. How do I go about this? Q: Does this service include hardware maintenance? Q: Will you have access to my Network at all times? Q: What Operating Systems do you cover? Q: Does this service include monthly reporting? Q: Do you cover 3rd party software support? Q: I don’t need all the services included in the Premium and Pro packages, can I add on particular services? Q: Why should we choose you to provide our MSP services? Ans: Our Senior management team has been in business for over 30 years in the IT industry. Our Company has launched numerous services, software and applications for our clients in the last 10 years. 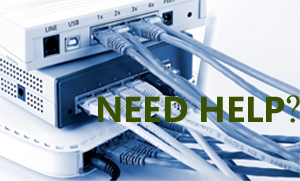 We are handful of the companies that can provide development to full support services for all your IT needs.